Does The Galaxy S10 Have A Ghost Inside Turning Settings On / Off? It seems like the Samsung Galaxy S10 has a ghost inside playing with the settings. Many users are complaining that their Galaxy S10’s settings are changing automatically. 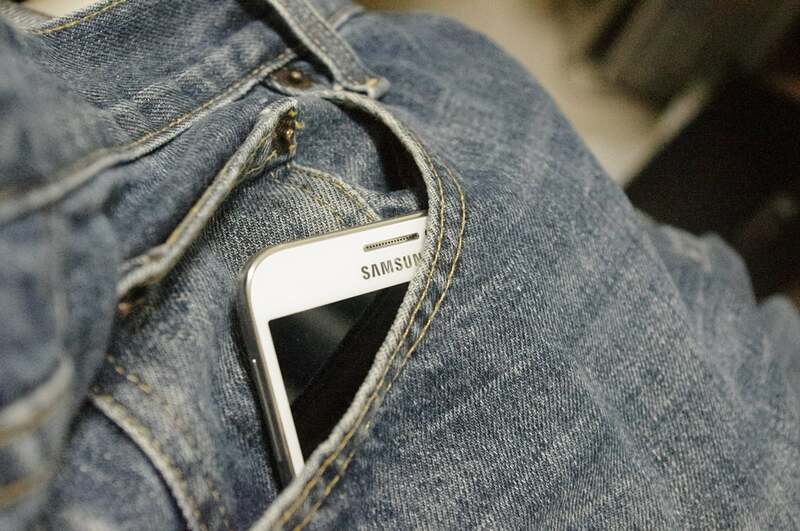 Affected users have taken to social media and Samsung’s product forums to complain about the issue. Many affected users say the built-in Caller ID and Spam Protection features are turning off automatically, according to tech site PiunikaWeb. “On my new Galaxy S10e the Caller ID and Spm [sic] Protection keeps [sic] turning off by itself in the phone app settings,” one user said on Samsung’s U.S. product forum. Some users have reported the same issue with other settings as well. For instance, many users say “Do not disturb” mode is turning on automatically. According to one user, it turns on automatically a few seconds after the device is rebooted. Others report a similar issue with the auto sync feature, night mode, blue light filter, auto rotate, screen timeout and other settings. Users say they are witnessing the issue in safe mode as well. The issue is not specific to any Galaxy S10 variant and has been reported by Galaxy S10e, S10 and S10+ users. The problem causing the Galaxy S10 settings to change automatically does not appear to be carrier-specific either because users on different carriers report the same issue. As of now, it is not clear what is causing the issue. Those affected say they have checked a few of the options themselves, including Bixby Routines, but the problem remains. Samsung forum moderators are in touch with affected users and hace suggested tweaking a few settings, but the result is the same. However, some users claim factory-resetting the device and restoring their app data from Google addressed the issue for them. Others were not so lucky when they tried this workaround. If your Galaxy S10 settings are changing automatically, then rest assured that you are not alone, so it may be some bug with the device. Thus, you are advised to file a formal complaint with Samsung so the company can see how widespread the issue is and hopefully release a fix soon. This is not the first issue Galaxy S10 users have reported with this two-week-old device. Many have already flagged several problems with their Galaxy S10, such as connectivity issues, the proximity sensor not working as intended, not being able to view the screen through polarized sunglasses and more. The list keeps growing with each passing day, bringing a bad name to Samsung. Perhaps to divert attention from the Galaxy S10 issues, Samsung is planning to release the Galaxy S10 5G sooner than expected. The Korean firm confirmed that the Galaxy S10 5G will launch in South Korea on April 5 and in the U.S. a few weeks later. In addition to offering 5G connectivity, Samsung’s Galaxy S10 5G will feature several other upgrades as well. For instance, the handset will have a 6.7-inch display (compared to the 6.4-inch screen on the S10+). It will also have 256 GB of next-generation storage and 8 GB of RAM to boost the performance and reduce battery consumption. The Galaxy S10 5G is fitted with a 4,500 mAh battery, compared to 3.500 mAh for the Galaxy S10 and 4,100 mAh for the Galaxy S10 Plus. It should take better photos as well, considering that it sports a fourth rear camera lens, which is a Time of Flight module. This fourth lens should help in taking better low-light shots, improving depth perception and speeding up auto-focus. As far as the price, it is not much for such upgrades. The handset will sell for $1,199, the same as the 12 GB, 1 TB Galaxy S10 Plus. Moreover, buyers will receive a free set of Galaxy Buds worth $159 and a 50% discount on a one-time screen replacement. Samsung has also released the March security update for the Galaxy S10. In addition to boosting security, the update also offers performance improvements for the device. According to the changelog for the update, the performance of the Wireless PowerShare features has been improved. The update also improves the camera stability. This new update is for all three Galaxy S10 phones, the S10e, S10 and S10+. It is currently being rolled out in some European markets, including Germany and the United Kingdom, and is expected to hit other parts of the world soon.